Published On Tuesday, October 15, 2013 By admin. 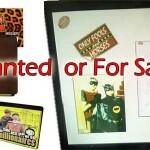 Under: Convention, Featured, Only Fools and Horses, Society. The Only Fools and Horses Convention 2013 is almost upon us, so make sure you are making your final plans for the biggest event of the year for us fans who join the gang. You could say its like walking into the Nags Head for the day…. 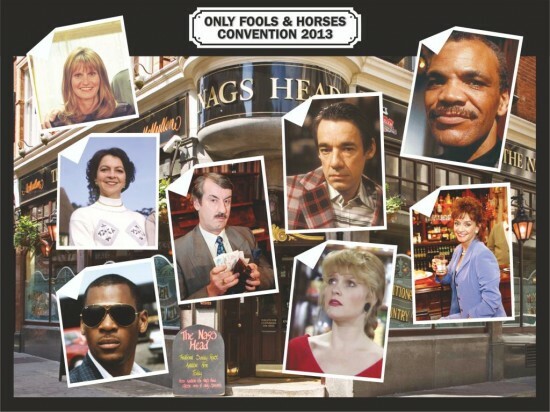 Is there an Only Fools and Horses 2013 convention ? What is the line up for the 2013 convention ? 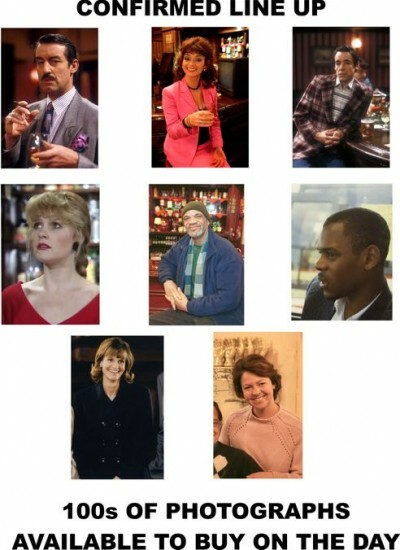 Trigger, Boycie, Marlene, Nervous Nerys, Denzil, Jevon, Cassandra and Raquel. 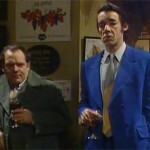 When is the Only Fools and Horses convention 2013 ? So when is the next only fools and horses convention. Well, Perry has just informed me to put Sunday October 27th 2013 in your diary. Where is Only Fools convention 2013 ? Plan on going to my first one this year, but can not get there until 1.30pm due to commitments in the morning, is it still worth going? I know the queues will be huge to meet the actors, do I have to queue for the rest? Does any have the uncut version of yuppy love? Is there going to be another convention this year. If so when will it be published so we can book tickets?? Could somebody let me know how to contact perry please? I always enjoyed meeting him – and he was such a contrast to Colin Ball as he was so intelligent and such a brilliant Shakespearian actor. I remember, in particular, how wonderful he was when the Only Fools & Horses Museum opened in Bressingham Steam Museum, near Diss. We have a disabled daughter and he made a fuss of her and had lovely photos with all of us. Rest well Roger – you entertained us richly and deserve a good rest! I Got Engaged to Patrick James Stevens at the convention :). WOW! 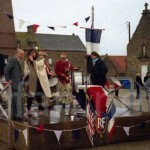 How amazing for you both – I bet it will feature in the next issue of Hookie street! Travelled from barnsley to the convention and we all loved it , the queues were big as expected but well worth it , we were one of the last to meet the actors and they were all still great and friendly even though they had been there for over 10 hours . The props were also nicely done , i found the prices for the event and scene pics really well priced not expensive at all , will be going next year but would be nice if it were more north, theres a lot of OFAH fans up here you know.. I really Enjoyed meeting all the actors and the trotter photo experience. the one thing i would of liked to see would of been a bit of the Nags Head bar set up. i hope to be going next year. 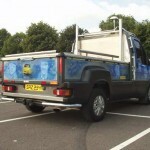 I wouldn’t normally add comments into a blog but after seeing the complaints on here I felt like I’d make an exception. Yes, the queues were long but we were seeing some top top top actors and actresses. I normally attend most events in the UK like Comicon and have queued so much longer for autographs and after having paid 5 times as much money – and that’s just for a single autograph whereas I queued at this convention and managed to get 14 signings (2 per star). An absolute brilliant day and true value for money. You won’t catch me missing out on this event each year. Unfortunately I missed the convention. I want to write a comment but I don’t know how to join the blog, which is why I’m replying to your post. Can you advise me on how to write my own post? thanks. This was my first time to attend the convention came from Ireland for it, It was great to meet the cast really friendly people.Meeting the Actors aside I enjoyed it allthough it could be an awfull lot better, It was great to see Bobby Bragg there he’s a really nice guy, but why not have him onstage telling some stories about the show and not hidden. It seemed like the organisers were out to bleed every penny from people.. 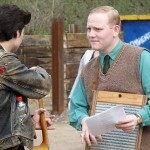 Extra charge for pics with the actors… Was a good day but could be improved!!! This was my 7th convention and have to say I was the worse 1 I have ever been to! It’s a really disappoint as I look forward to this event every year. The q this year seemed to go rather slow and was still there at 1300 after arriving at 830. It was great to see Bobby Bragg turn up as he is a huge part of the only fools family but felt it was very disgrading leaving him at the side of the q speaking to the odd person. He had a 5 min chat on stage and that’s all I saw of him. Why not get him to do what he is so good at and warm up the audience tell a few more stories? I’m sure it would have made the q feel like it was moving quicker with this! As for the new trotter experience I saw none of it, I didn’t particularly want my photo taken but would have liked to had a look at the other props and cars but there was no way i was standing again in another q to get in a separate room! Don’t think this was the greatest idea to have another q in the door way. As for the merchandise there was a lack of bits to buy, to my notice there was no die cast trotters vans, back issues of hookie street and a few other bits that have been there the past years. As for these negative points I will still be attending next year as its great to see the show still carrying on in a different way rather than on screen and wish to support it. I’m still in shock that I met the people who “have drove me bazurk” over the years. Photos and brief, yet amazing memories of a good day? Will see you all next year!! Thank-you to everyone who made the event possible! This was my first convention I was so looking forward to it, when we got in I was totally dissapointed, what a shambles it was and very expensive all the items were, I will add I will not be going to another one…….total waste of money IMO ……..
Great day! Great fun! Amazing experience! To anyone considering whether to go to next year’s convention, here’s my advice – DON’T MISS OUT. 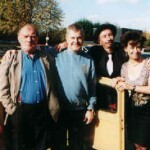 You have to expect to Q to get time with such well known British sitcom legends. And all for only £5. BARGAIN!!!! Amazing event!!!! Highly recommend to any OFAH fan. Worth every penny and every minute queuing. This was our first convention and we all had a brill day. Yes we had to queue but it was well worth the 5 hours. We travelled from Norwich and it was a very long day but all of us loved it. As for parking we had an email saying there was a mistake on the tickets about free parking…. It was £1…..! Great day had by all of us. Will be going again next year. Queued for over four hours to meet the actors but had to leave due to other plans made. I estimated another 30 mins to an hour wait at this point. Far too many people, you had to pay to see these displays of memorabilia (and queue yet more) and parking was not free despite what it said on the ticket. Will not be attending next year. This was our 5th convention,and probably the worst.It seems that more and more every year,it is just to make money by selling the tackey merchandise you cant get rid of on the site.What about the non existant free parking.Where were the cars from the show?Total waste of time and money!! This was my 1st convention and I was not surprised at the length of queues. 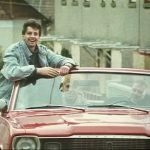 The fan base for Only Fools is unbelievably massive and through this society is the only way us fans can get access to meet the stars, see original memorabilia on display and have an opportunity to purchase unique products. As this is the only way to get access, there will always be a huge turn out. I had to queue for a little longer than some but tbh it was worth it – no doubts there. I will be attending next years event and hopefully every year whilst it keeps running. As a die hard Only Fools fan, nothing will stop me from missing out. I just wish I had found out about tear conventions much sooner. On the parking, I only ended up paying £1 – I’m okay with that. Thanks to all the staff as well. I managed to speak to some, especially at the signing tables and they were all so polite, easy to talk to, helpful and clearly are all Only Fools fans as well. Can you please confirm if these conventions are annual? If so do you have details in next years? I missed today’s? Yes they are annual. We usually hold them on the last Sunday of October, and they are getting (in my opinion) bigger and better each year. Next years convention will be announced around early April /may once a venue has been found and confirmed that is suitable. Amazing convention 2013!!! Queuing was so so so worth it. Best experience of my life. Proper loved the new props / scenes. The chandelier one was awesome. I can’t wait till next years event!! Just got home to manchester now after another top convention. Managed to buy a uncle Albert signed prop book from his time at sea, signed by the man himself and David Jason, was hoping to buy a original script if anyone has any for sale, spoke to perry he only had running orders for sale today. All in all top day out. ANOTHER GREAT gathering of OFAH actors and Actresses. Lovely to see warm-up comedian Bobby Bragg there too. Thank you to the many helpers and Perry and Keith for organising – guess it took forever to set things in motion. I could not believe the queue for the Nelson Mandela flat – I have never ever had any problem getting to see it but had to give up today as the queue was sensational. One question – What time did the last signature get written? and a HUGE Thank you to all the actors and actresses for turning up. THANK YOU !!!!! Hi. 7:30pm the last autograph was signed tonight. Same here not long home after my very first and real enjoyed hope to go again. Next. John and sue ever so nice had time to chat to ever one. 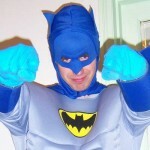 Do people dress up for the conventions? Dressing for the day IS recommended !!! I used to attend these conventions several years ago and in fact went to the very first one. Will there be any vans parked up and the Capri Ghia?? hey..im going to the convention and i cannot see anything about having photos with the stars? Hi. There are no photo shoots as such, you just ask for a photo as the stars are signing their autograph for you. I have two normal tickets available. Can post first class straight away. I have 2 normal tickets for sale. I can post first class straight away. Due to illness i have 2 early bird tickets if anyone is still looking to go this weekend. Just noticed some earlybird tickets for sale on ebay. Not mine, but might be of use to someone. 2 x Early Bird tickets now available and listed on the ‘Bay as now unable to attend. is tickets still for sale?????? No Patrick Murray this year again? Shame. Erroll, afraid not, that’s it now :-)excellent line up to keep us entertained for another excellent year! It was £5 for the basic ticket – which entitles you to TWO FREE autographs from each actor/actress. You can usually buy a limited edition print which costs £15 and then the actors/actresses will sign it for you as part of your entitlement. You can also purchase good quality photos for £5 each which they will also sign for you. It REALLY is a goo deal — though if you have not yet got a ticket they are sold out ….with a few let in on the door after 12 I think it is ….when the autograph queue may well be up to 6 hours ….you have been warned! Stephanie. I don’t recall seeing one before of all of the cast together. Usually the pictures that are taken, are of those that are appearing at the convention. There are some of those appearing, with other cast members, but I don’t recall one of the whole cast being available. Last time I checked, any additional autographs above your allowed 2, are £10 each. The cast, as in the whole OFAH cast, or those appearing? Those appearing are on a 16×12 that is available as Sleathy says. Hi there Stephanie – This is what has happened at the last few Conventions. There is usually a Limited edition print you can buy which includes all the cast that are there – it is free with Early Bird tickets and mirrors the free mug Early Bird tickets usually get. If you want to but the print then it is usually £15 and you can then get all the actors to sign it. You are normally entitled to two autographs per actor so you might want something else – or other photos or a book etc for them to also sign. Good to see a good line up again cant wait just over a week to go going to be a lovely jubbly day again. Don’t forget to check out the Trotter Photo Experience while you are there! Thanks for all the reply’s what about single pictures of each cast member there do you sell them if so how much would they be.one last thing what is the Trotter Photo Experience? The Trotter Photo experience will be segregated areas where you can have photos taken of yourself or yourselves in the actual Trotter flat as Perry has acquired the whole thing from the BBC over the years. 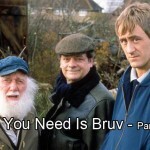 There will be lookalike Rodney, Uncle Albert & Delboy again available for photos. I believe there will be THE chandelier from the episode available as well as many original props in other sections. There will be a small charge per section …usually …. There will be 4 sections that you can have your photo’s done. £5 per section, or £10 for all 4. Bring your camera! Hi, I have 2x tickets for sale at £70, not including P&P. please contact, chrisschoey@hotmail.com. Hi, I have 2x early bird tickets for sale at £70, not including P&P . Please email me at chrisschoey@hotmail.com. Hi, do you still have these tickets? Just ordered some £5 tickets for convention , then started reading some comments on here..6-7 hours queues ,really, we are driving 400 mile round trip,is this time real as it finishes at 6 and queues stop at 3 , so would you still get to meet actors for sure.also is the queue outside or indoors(will there be things to see whilst queuing)etc..really been looking forward to it now feeling a bit apprehensive.. YES There are stalls and exhibits/props from the show to view … leave one person in the queue whilst the rest of you look round……but take my advice ….GET THERE AS SOON AS POSSIBLE!!!!! If you have an early bid ticket what is a realistic time to get there for? Dont want to queue too early as travelling a distance but ideally not for hrs. Does anyone know what time people start queuing with the early bird tickets? I seem to remember arriving at 9 a.m. last year and being about 50th in the queue ….or was it 100th ? Desperately after one early bird ticket. Anybody help me? anybody got 2 early bird tickets for this years convention please. willing to pay extra for these and depending on where your based I will collect or pay for the postage. please help thanks. Will the Rivermead Leisure Centre Bar be open during the convention? Or are there other food and drinks facilities available. Just wondering is this a ‘family’ event? Could we bring the kids and make a day of it? You will love it, this year especially. How old are the kids? Under 10 years will not need a ticket – they are free entry, however you will need a ticket. You can make a day of it, however be prepared to queue for autographs, it does get busy!! Always lots to do there, enough to keep you going for the day! You will enjoy your first and want to come back for more! I’ve been to 3 so far. It’s a long long day. You have to be very patient it can take 6 or 7 hours before you even get anywhere near the front of the queue to meet the stars unless you have an early bird ticket. At Portsmouth I turned up without a ticket. I waited 2 hours in the queue and was told to leave the queue until further announcements were made. As I was leaving the queue the couple behind me also turned up with out tickets and were allowed to buy them there and then and went in right away?? I tried to question perrys son and he rudely blanked me and security man handled me out. I then went to the back of the queue, waited another hour to again be refused entry. Again security grabbed me and tried to force me out, until a female pleaded on my behalf and I was eventually allowed in. Luckily I am good friends with John challis aka Boycie otherwise I wouldn’t bother going to anymore. I have 2 Early Bird Convention 2013 tickets for sale! My email is address lmwakefield@btinternet.com if interested in the tickets. Hi, how much are you asking for them and would you sell one. Hi, I have 1 early bird ticket for sale if your still looking?? How much are you selling the Early Bird Convention tickets for? I would just like the £60 back that I paid for them, it also cost me £10 postage fee but I will just charge the cost of signed for postage. I would just like the £60 back that I paid for them. I was also charged £10 for postage but I will just charge you the cost for signed for post. I would just like the £60 back that I paid for them. I did also pay £10 postage but I will just charge the cost for signed for post. I was wondering if anyone can help me. Big Only Fools and Horses fan, I have just purchased a china cookie jar, replica of Del Boys cigar jar. Can anyone tell me, if many of these were made or even better where the original one is now? 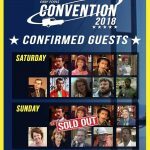 Are guests likely to be announced before the week before the convention? Are the autographs included in the £5 tickets? Do autographs cost, if so how much? Are there any £5 tickets left, and will there likely to be any left by early September? YES …2 autographs per actor are included in the price …it WILL be another great event! Thanks, is that for the £5 tickets and are there likely to be any left by early September? Does the £5 tickets include autographs? How many £5 entry tickets are left, will there likely to be tickets left by early September? really desperate if anyone knows anyone who is selling early bird tickets i need at least two but four would be even better!! I have 4 early bird tickets for sale, I am unable to. Serious reply’s only. i have just sent you an e mail, do you still have these for sale? do you have any left??? hi clare, have you any tickets left im only after 1? Thanks for all the interest I have sold the tickets. still desperately after early bird tickets if anyone could please help me!! my email is legend_crowey@hotmail.com or message me on facebook jase croy. hi, did u sell both your early bird tickets? Just wondering of anyone knows of any actors/actresses who will be attending this year. In the previous years there have always been nnoined prior to the event. I would suggest we may see the first announcements mid Sept? hi would just like to ask about this years convention (my first of many!) could someone tell me when is the earliest time we will here which stars of the show is deffinetly going to be at the convention this year? and also i imagine depending on the ammount of the cast that comes can you get all of there autographs on the day or is it very likely you run out of time? many thanks cameron. Hi. I would suggest about September time we may see the first announcements.. The Convention goes ’til 6pm, however the queue closes at 3pm leaving you enough time to get your bits signed – it’s 2 items signed per ticket, plus the convention pic if you decide to get one on the day. Enjoy your first one, I’m sure you will and this won’t be your last! it is my second convention, and my first was 2011, the 30th ann one in Portsmouth, that was fantastic. 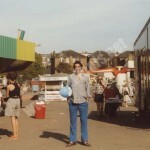 I have 2 early bird tickets, so its 2 items, plus the large only fools print we get of the day? Hi mate. Yes if you have the early bird ticket, it’s the limited edition print, plus 2 additional items to be signed! Are there any early bird tickets left? Hi Laura I have 2 unwanted early bird tickets, bought them for someone as a surprise but they had already bought some. I’m happy to sell them to you. My email is lmwakefield@btinternet.com. do you still have the above tickets available im desperate for two? so what actors are going ? wanna know i herd someone say that for one convention they sold food inside. Do they sell food inside each year and what kind of food do they sell anyone please?? Last year if I remember rightly, it was snacks – tea, coffee, cold drinks , crisps , chocolate etc…. Depends on the venue if they have the facilities and if that’s factored in to the cost of the venue hire etc…. I have tried ordering normal ofah convention tickets but received a message from Perry Aghajanoff (elpel@sky.com) saying my order had been declined? Never happened before? Will David Jason be at the convention? I have not been to a convention before. A few questions. Can you bring items for the cast to sign? Also do you get the chance to have pics with the cast? Also do you have to pay additional fees on top of the entry fee for an autograph? Deciding whether to go so would appreciate any feedback. Thanks. Yes you can bring your own items to sign, however it is a maximum of 2 free autographs per person, per actor. Not normally an additional fee as far as I am aware for an additional one, however there are staff that monitor the amount of autographs you get, otherwise people would be queuing for days if everyone got 10 things signed. The only additional cost usually is if you want one of the convention prints (free with early bird ticket), or a 10×8 pic of the actors there to sign. Yes, you get the chance to have a photo taken with the actors (separately) as they are signing, they do not do a group photo session. When are the tickets being sent out?? In my opinion, the Early Bird tickets, are well worth the extra money. My last convention was 2006, where I hadn’t paid the extra, and queued for 6 hours! With the early bird – it’s £30, however you get in an hour before the £5 tickets, and also get a free gift (usually a convention mug/cup) and a free 16×12 of the actors signing – with are usually £10/£15 – so in my opinion, well worth it! I have bought my Early Bird tickets already!! Got my Early Bird tickets! :-) Can’t wait now!! I will get mine in a few days … Cushty! got my early bird, well worth it…dont u get the large print they charge £15 each for on the early bird ticket?